The Tekno RC EB48 is racing this weekend at the JBRL in Hemet and also in San Diego at the SDRC Top Gun Shootout. Come by and take a look. 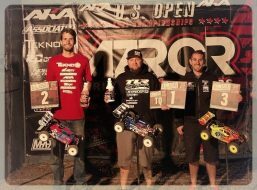 Tekno RC Sweeps 2017 Northwest Championship Tour! 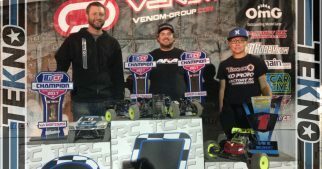 Tekno RC Scores Big at the 2015 US Open Fuel Championships!